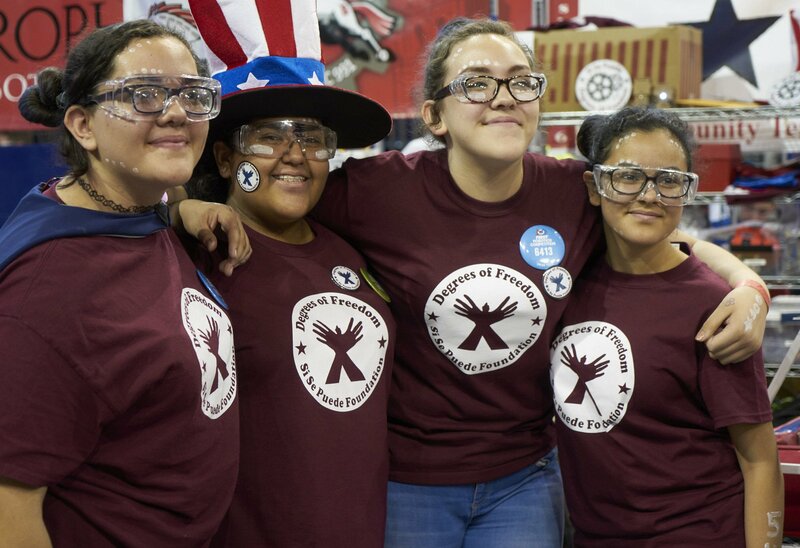 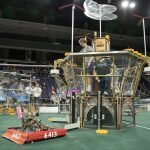 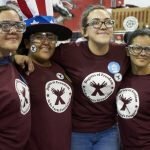 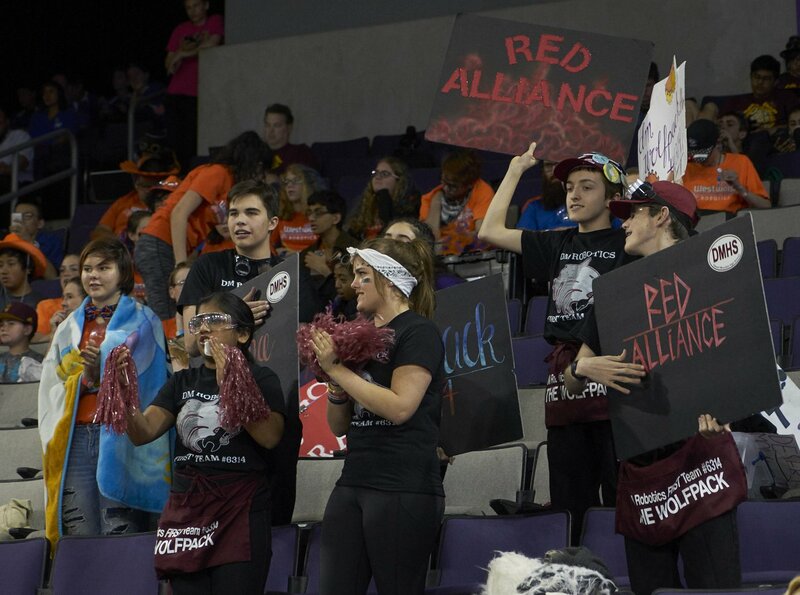 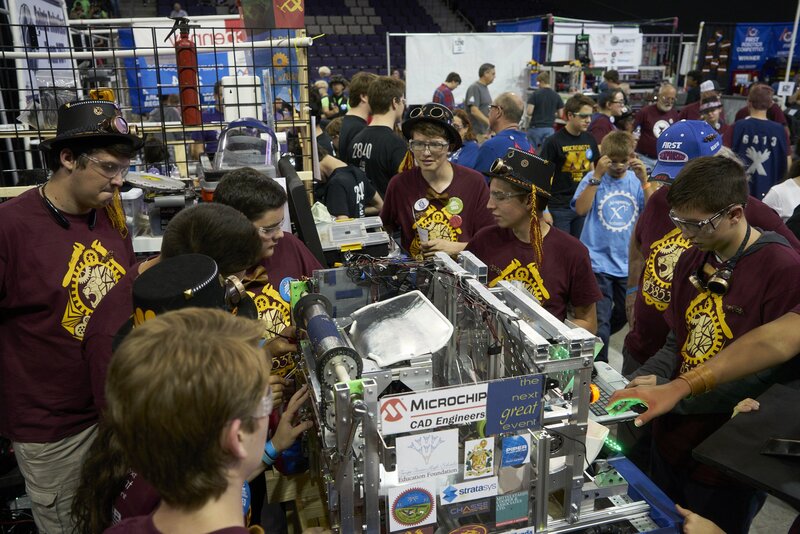 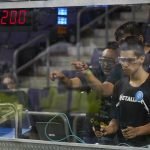 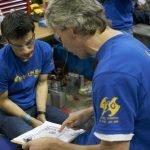 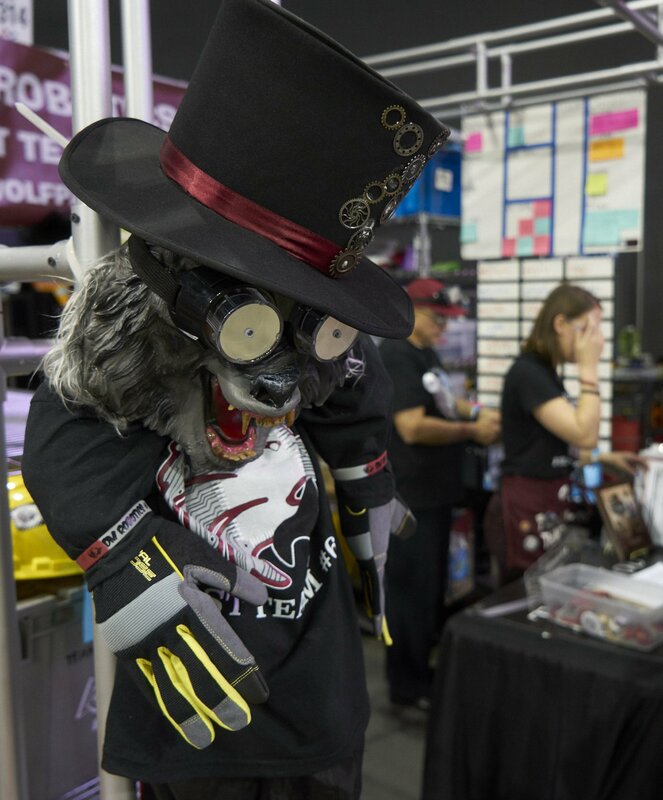 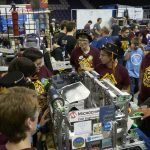 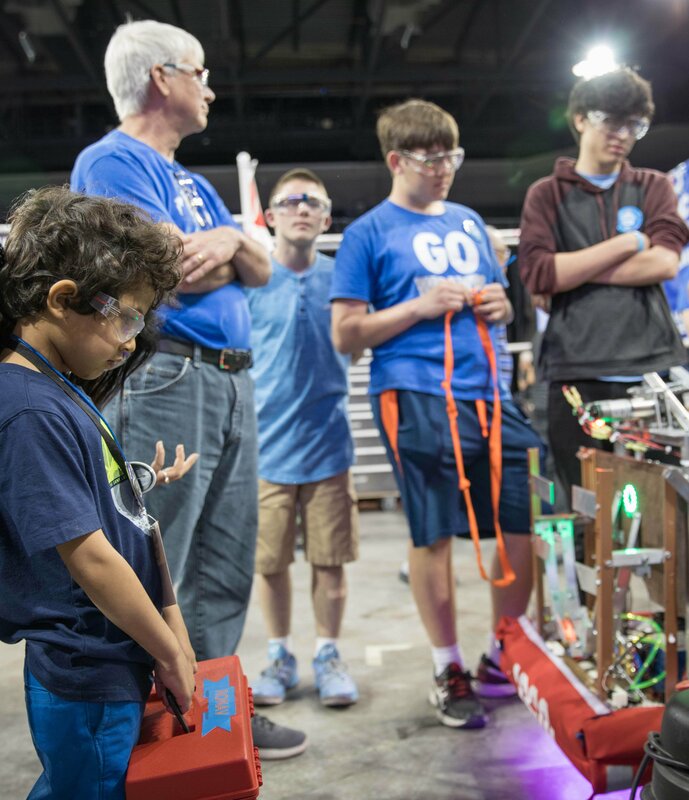 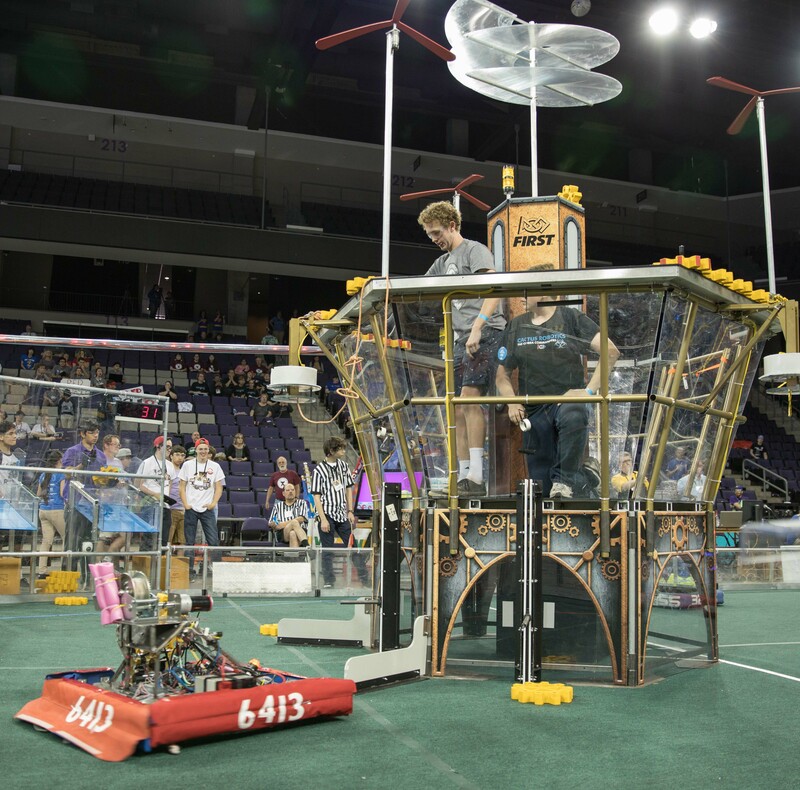 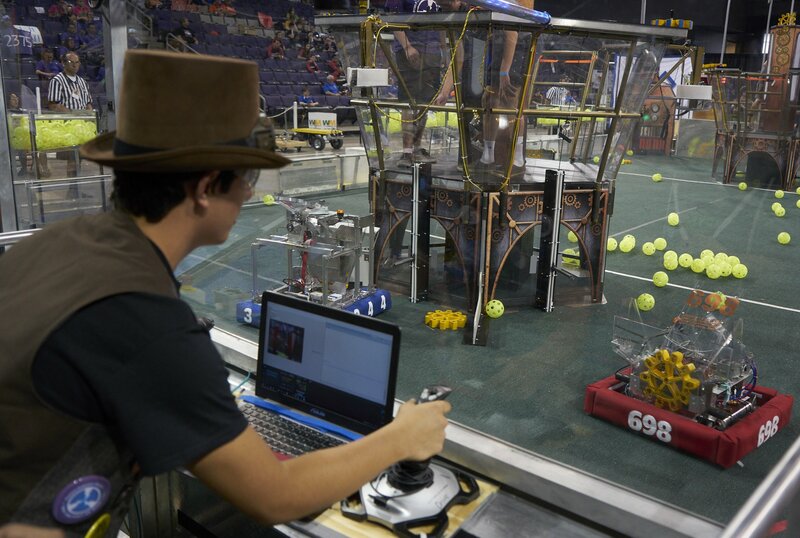 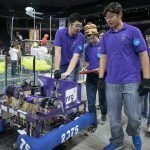 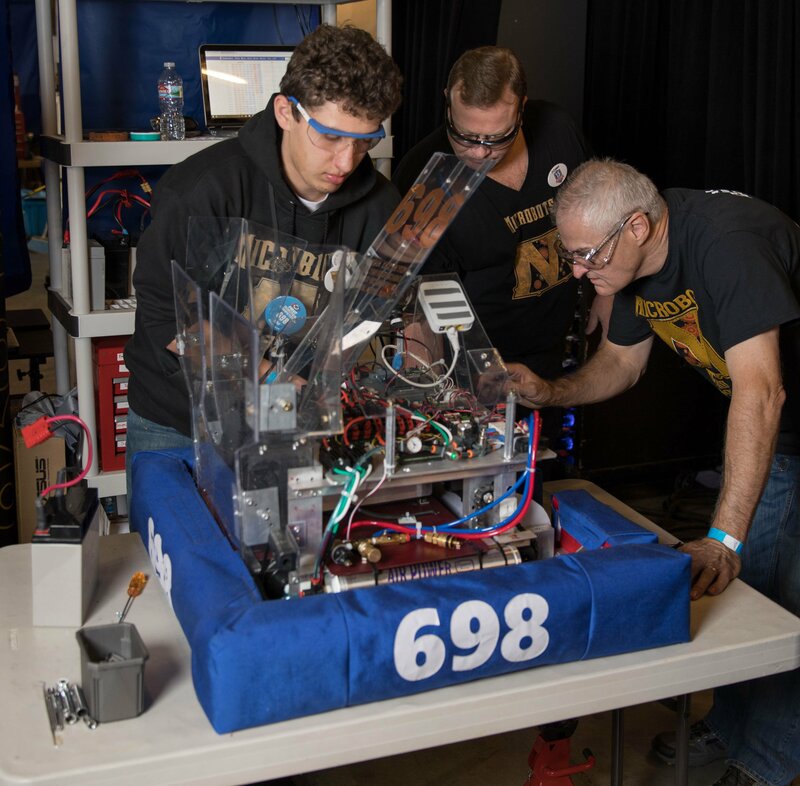 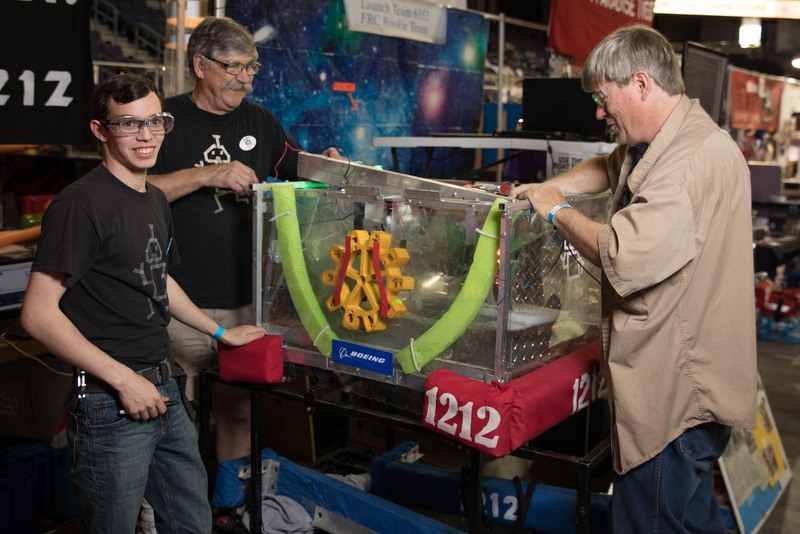 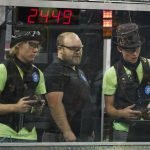 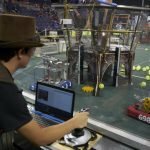 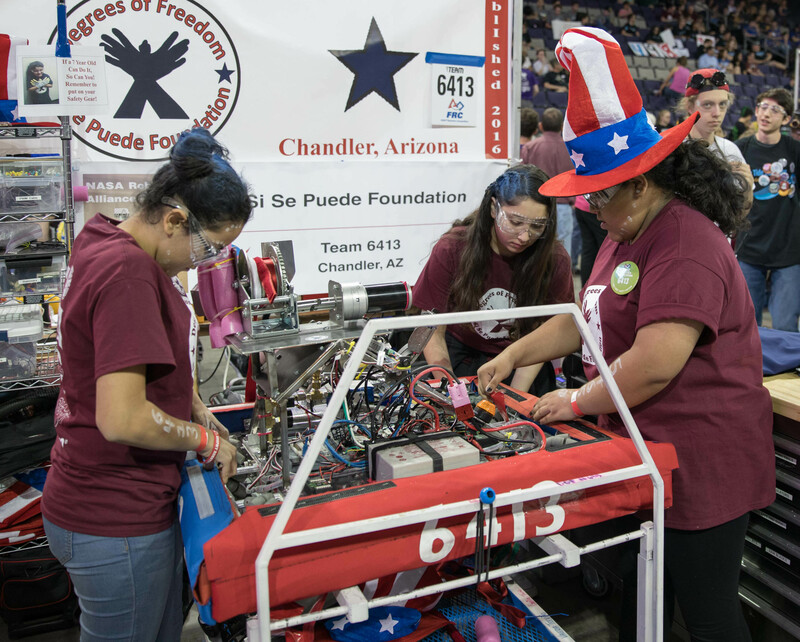 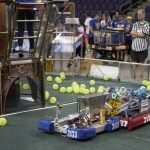 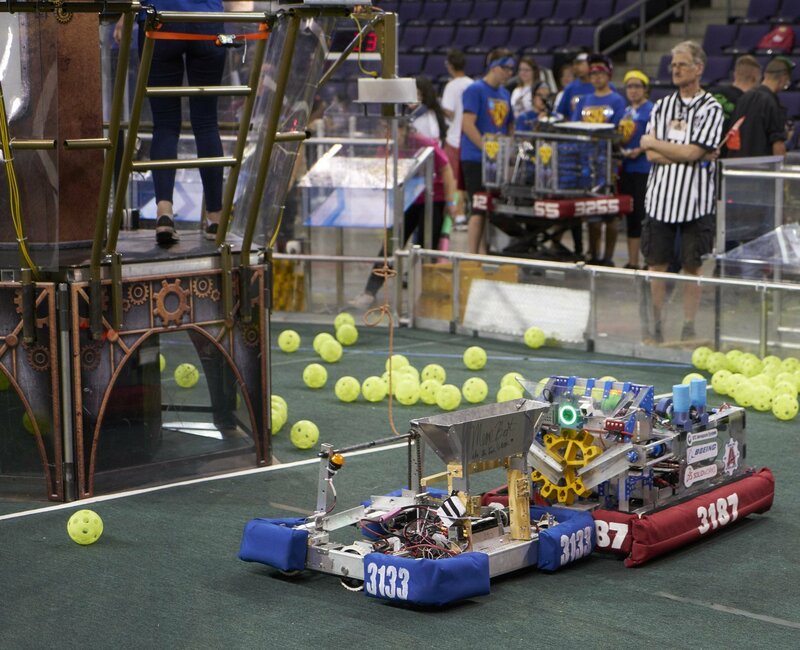 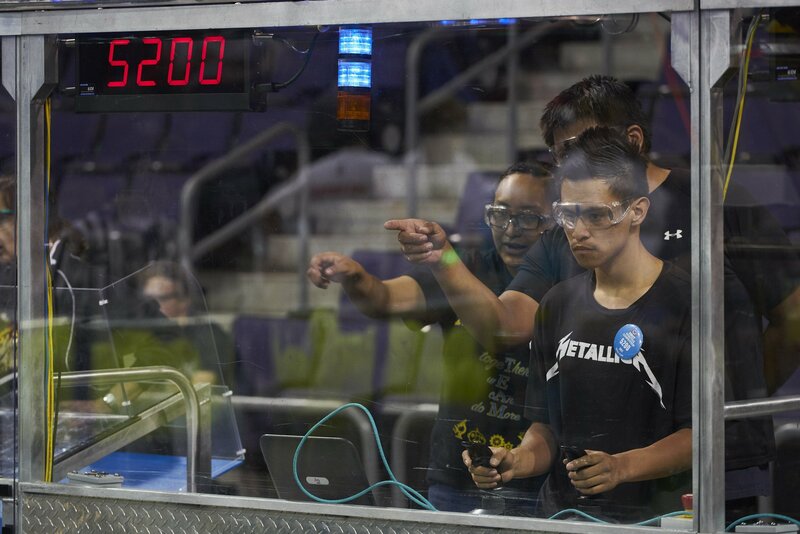 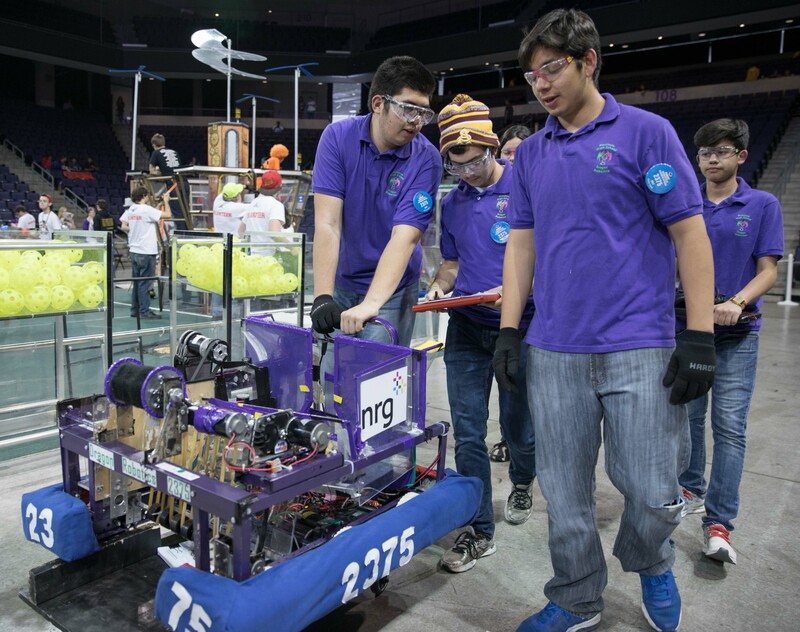 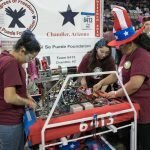 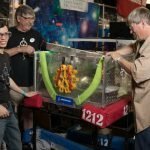 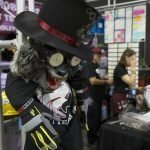 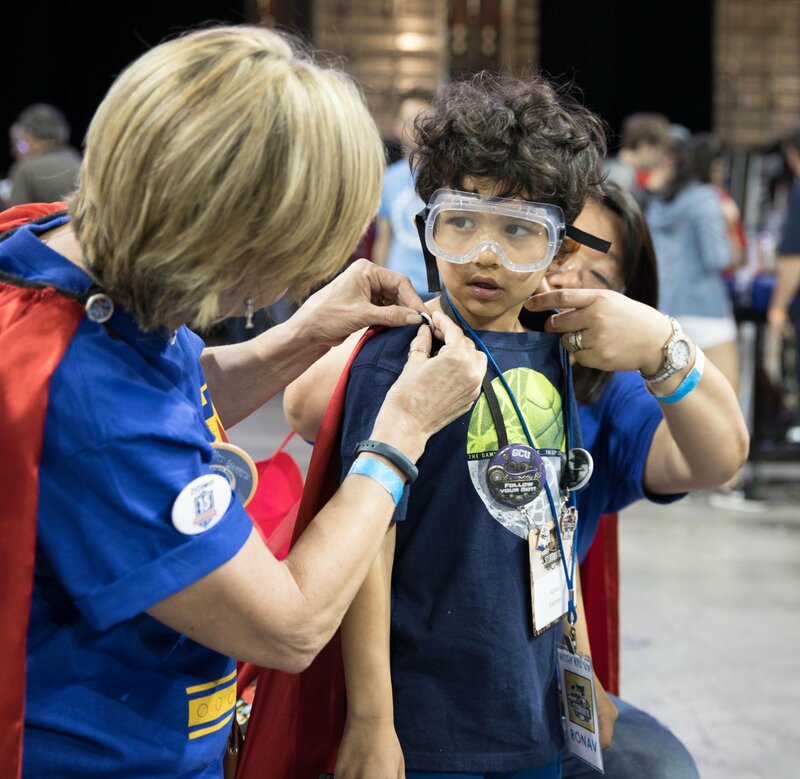 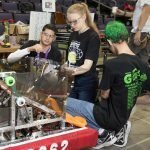 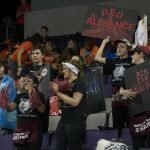 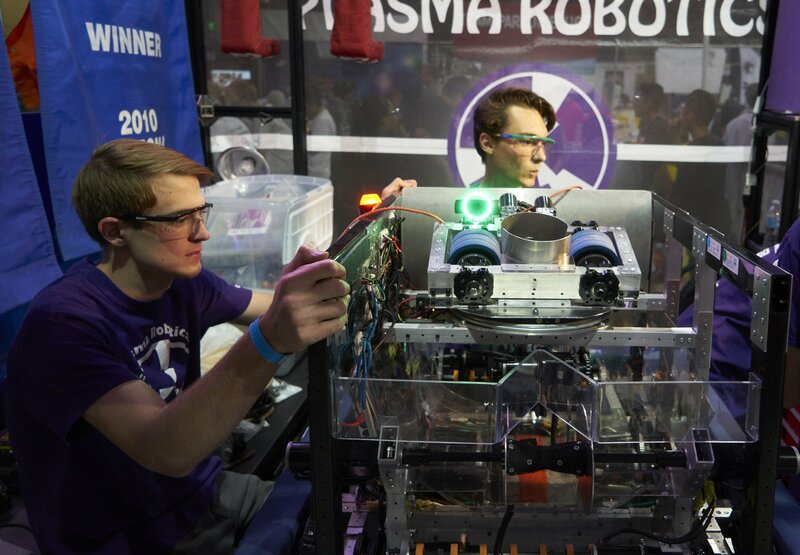 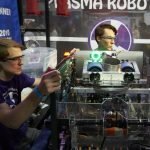 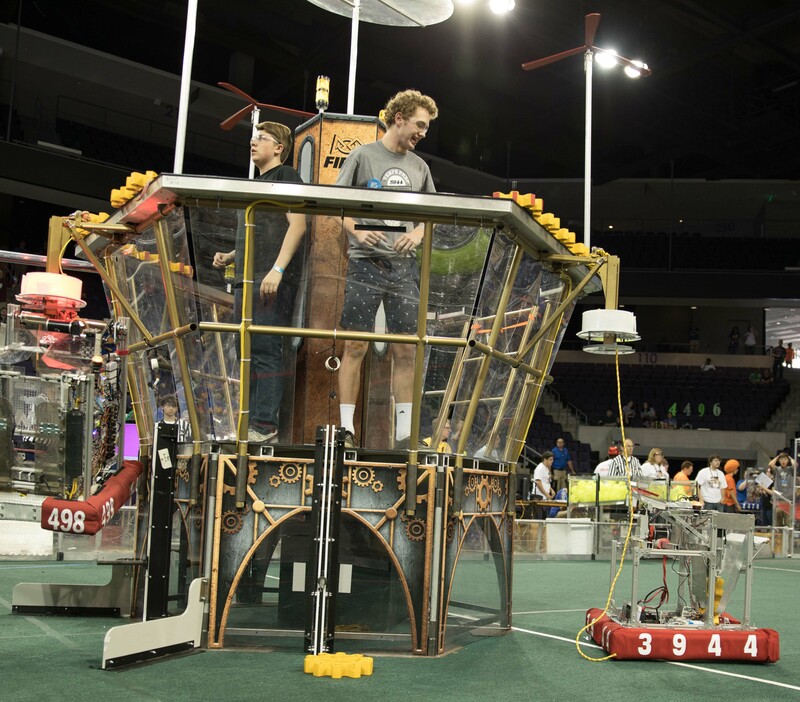 More than 3,000 high school students, parents and educators participated over the weekend in the FIRST Robotics Competition 2017 Arizona Regional at Grand Canyon University Arena. 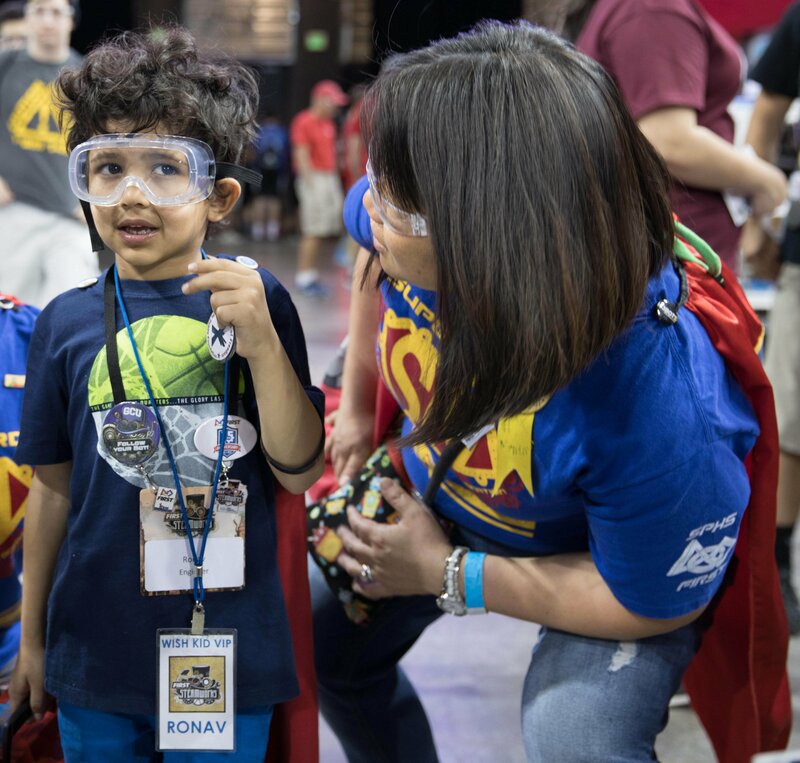 Among them was Ronav Chauhan, 5, of Tempe, who wants to be an engineer, like his parents. 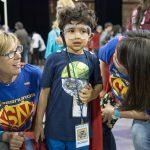 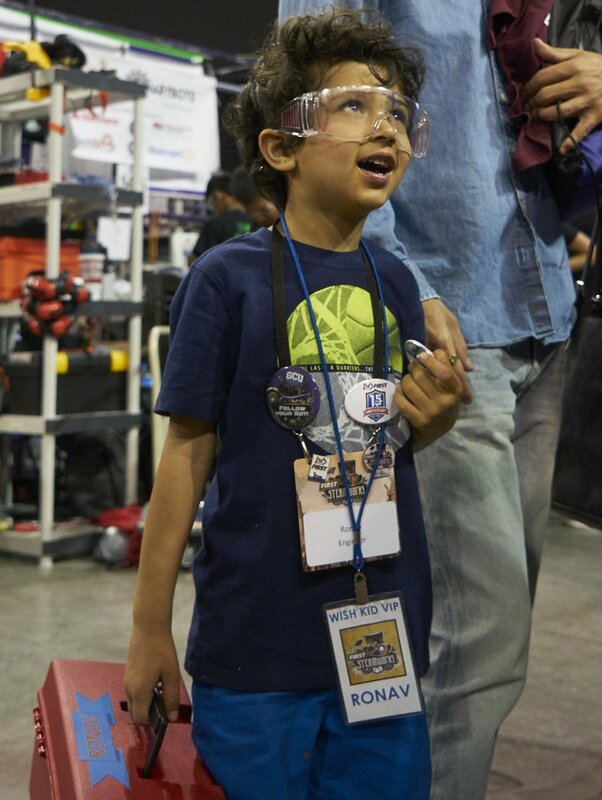 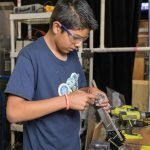 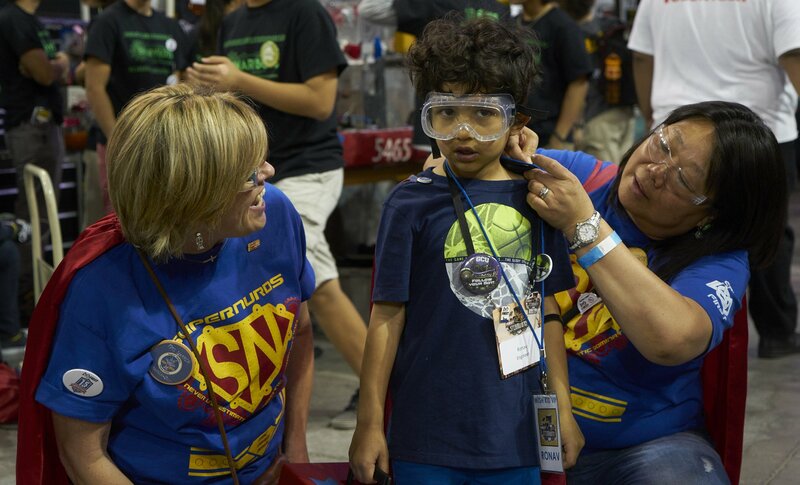 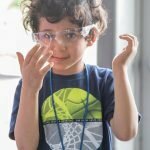 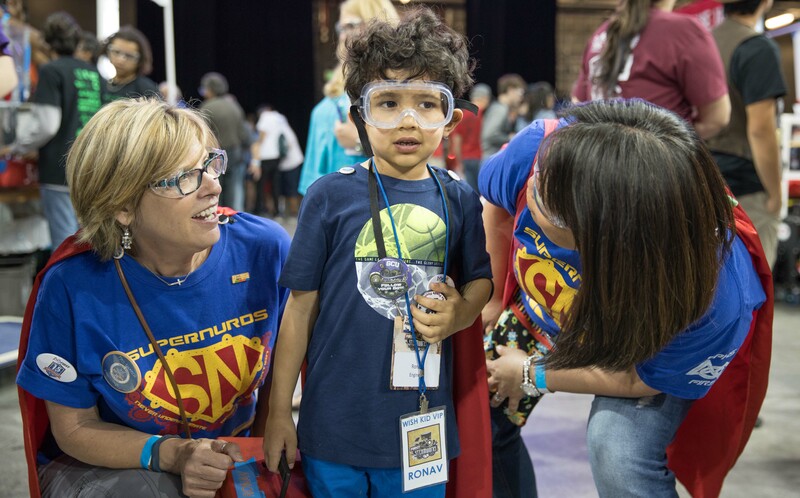 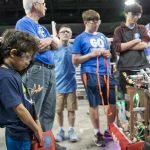 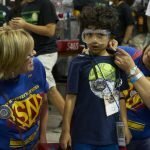 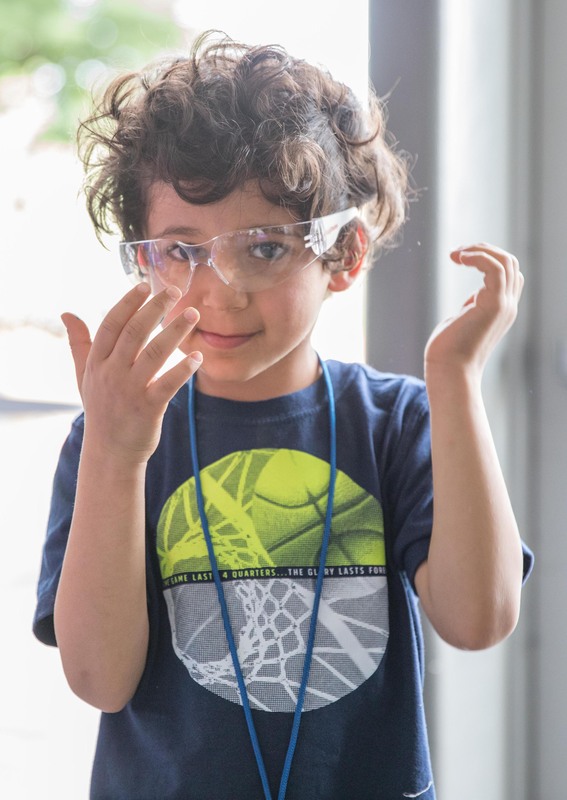 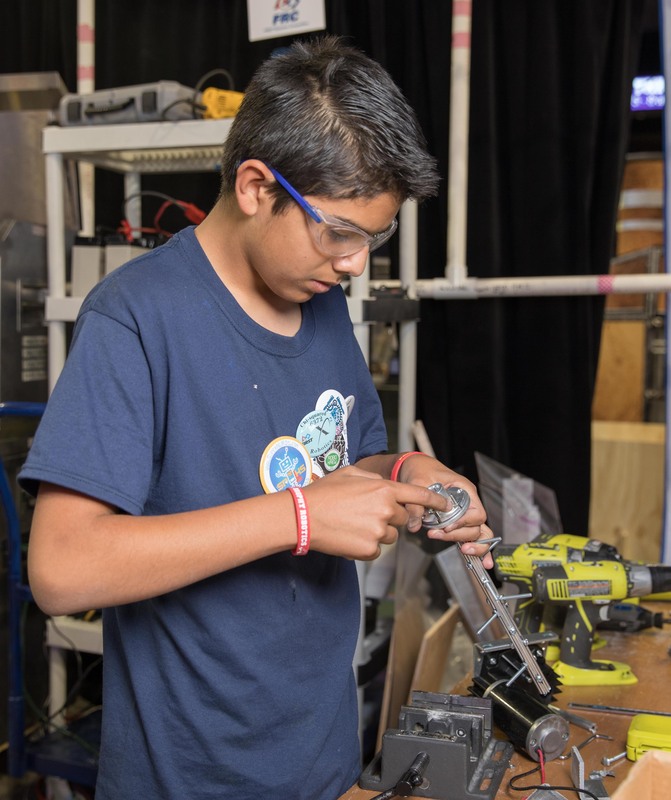 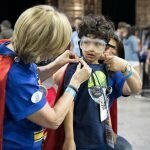 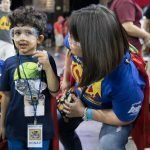 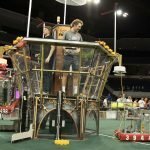 He has battled cancer most of his life, and the visit to see robots and the student engineers who built them was a gift from Make-A-Wish Foundation Arizona. 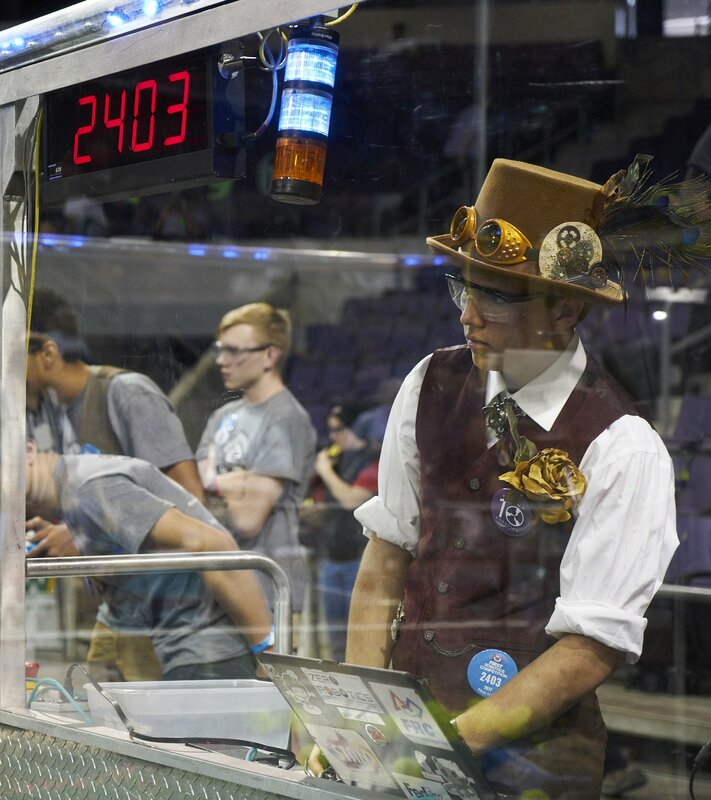 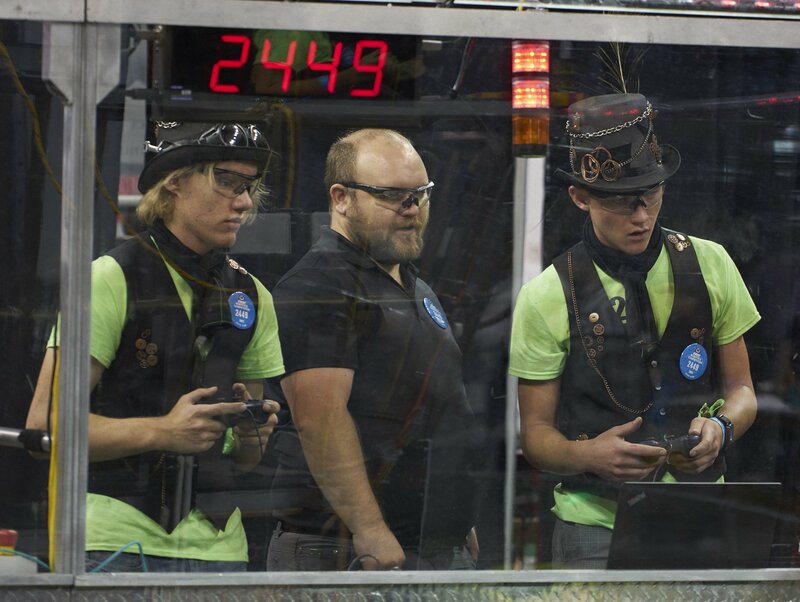 The robotics contest featured student-built robots competing for fuel in a steam-power era. 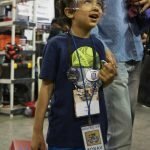 The robots assisted in preparing airships by collecting fuel (balls), which they put in boilers, which in turn “burned” the fuel to power the airships. 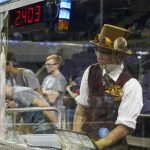 Robots also delivered gears to pilots.